Nature is the mother of all colours. Nippon Paint dedicates its best efforts, right now, to protect and preserve Mother Nature for the benefit of our future generations. From ignorance to knowledge − this is the road that the global community needs to take. With ever-increasing environmental awareness, Nippon Paint is proud to take on the responsibility of being environmentally friendly. Nippon Paint has recorded major achievements in cutting down pollution, reducing energy consumption and minimizing waste disposal. Nippon Paint stays committed to the protection of the environment in every step it takes − from product development and manufacturing to work procedures. Having set new benchmarks in quality, Nippon Paint is now being sought after in all parts of the globe. Today, it is one of the largest paint manufacturers in the world − with over thirty manufacturing plants, producing over one billion litres of paint and coatings annually. Nippon Paint has also established numerous research and development centres that have brought life to more than 100, 000 products for professional, industrial and home use. This company now has one of the widest geographical spreads across the paint sector. Countries beyond Asia recognise Nippon Paint for its dedication to quality, dazzling innovation of products and excellent customer service. Our commitment to the environment remains a top priority, and we are all about creating sustainable futures for everyone. 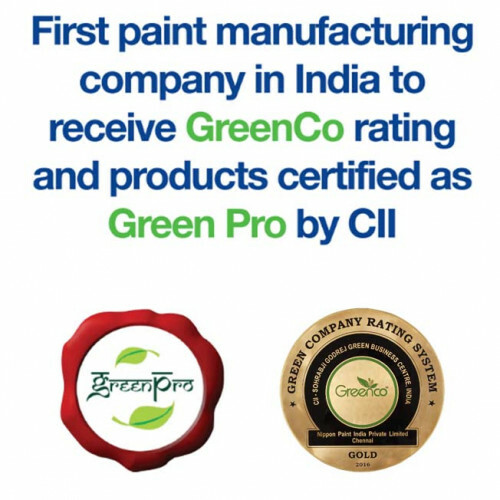 Our paints are formulated and crafted with careful attention to the needs of the environment and your health and well-being: as a result, we have a range of water-based paints with no added lead and mercury, and near-zero Volatile Organic Compounds (VOC) coatings. 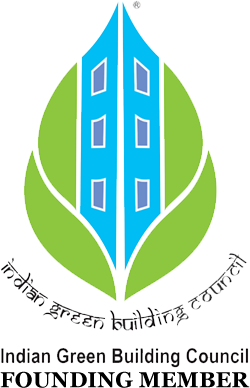 And what’s more, we are also the Founding Member of Indian Green Building Council! Nippon Paint’s mission is to provide society with advanced products that increase the quality of life while protecting the global environment. Through the development of innovative technology, Nippon Paint benefits both its customers and society as a whole. We will always be committed to providing exceptional products to our customers and embracing the values that make us an exemplary global corporate citizen.